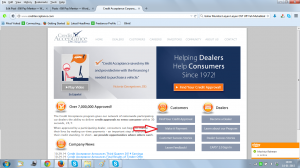 Credit Acceptance is an American company that is dedicated to providing financial services like auto loans to car dealers and individual customers in the US. The company has a vast network of car dealers, so that customers with bad credit rating can also buy cars. They offer easy repayment plans to their clients, so that they can repay their loan on time, and improve their credit rating. 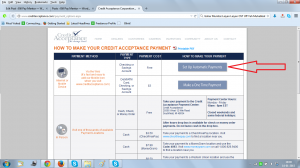 To see their plans, offers and facilities, you can refer to their site at Www.Creditacceptance.Com. You can call their customer care center at 1-800-634-1506 to talk to a Credit Acceptance representative regarding your concern. You may also connect to the company via FaceBook, LinkedIn or YouTube. You may also send them an email, or a written mail by post regarding your query, complaint or suggestion.